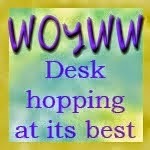 Morning lovely people and welcome to What's on Your Workdesk Wednesday, hosted by the fabulous Julia. Right housekeeping over, now to tell you that my workdesk is not worth viewing today, instead this will be a picture heavy post. So, Margaret, John and I went to the craft show at the NEC last Friday and did a 'little' bit of shopping!! I did have a list and did try to stick to it, but it was all so tempting!!! So this was my desk on Saturday morning when these pictures were taken, before I managed to find homes for it all, well most of it. There is a stamp press, because I always end up with my stamp just not quite straight and this should help me line them up perfectly and a bow maker, which I have been after for a while, and some ribbons and a Tattered lace die. 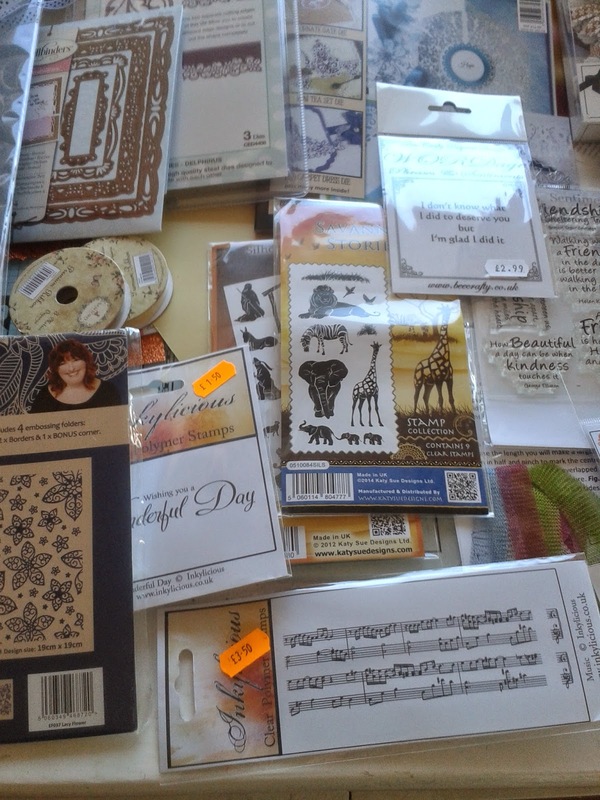 And some stamps, especially the Savannah set with a giraffe, my daughter is mad about giraffes, and a music stamp for son in law's birthday card. 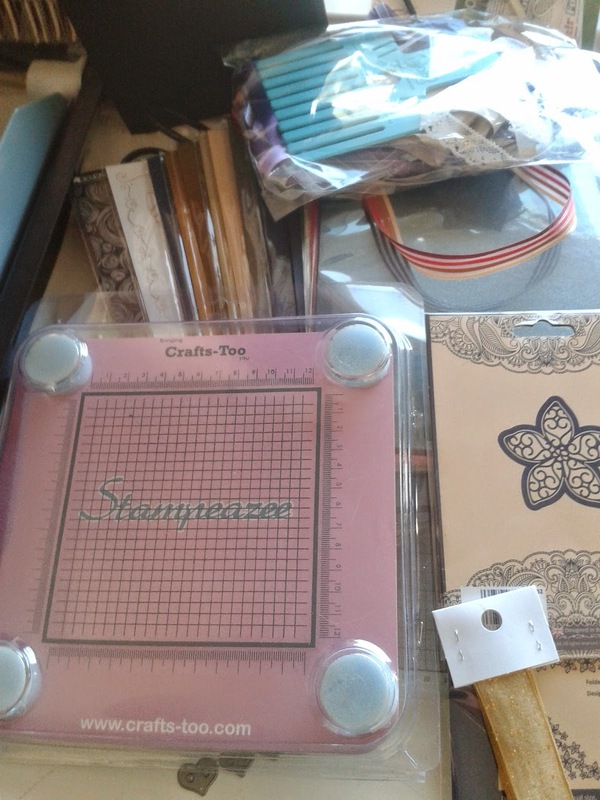 A Spellbinders die, which I bought for a special reason and it is not the right size, and a tattered lace embossing folder, which is gorgeous and sort of goes with the die I got. Then there are some Distress inks and Occasions dies, Golden and Anniversary for my sister's Golden Anniversary, of course! 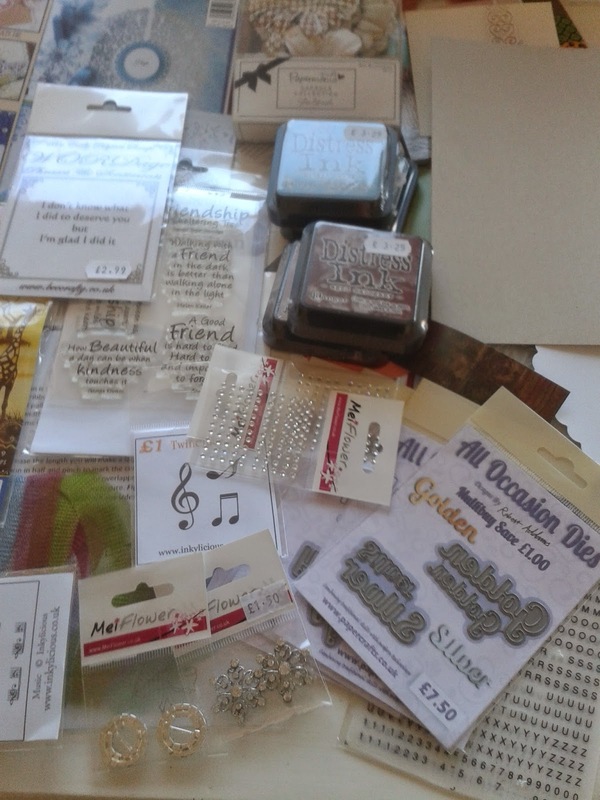 Also some bling, I love Meiflower gems, and other embellishments, and another music stamp. 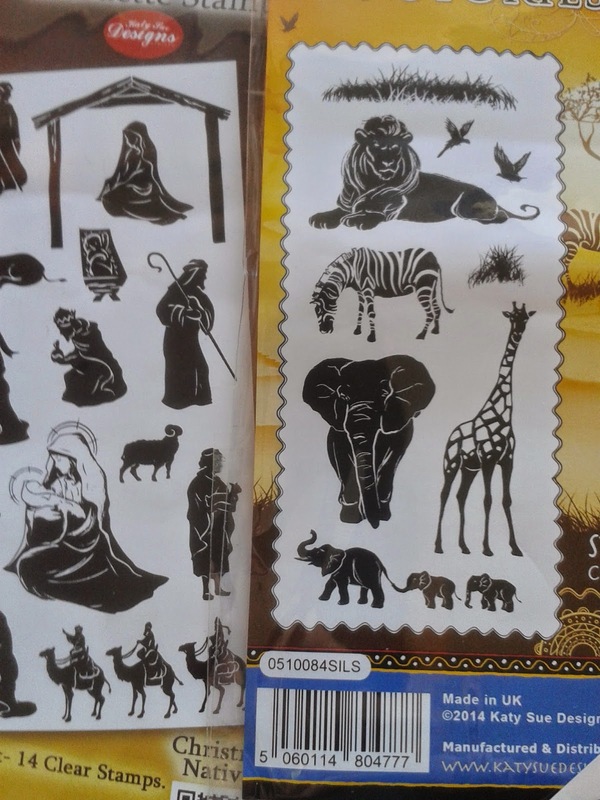 This is the Savannah set of stamps in more detail and a lovely Nativity set as well. Looking at these pictures, a few days after I took them, I am suddenly reminded of all the goodies I did buy, and I couldn't get everything on my list. 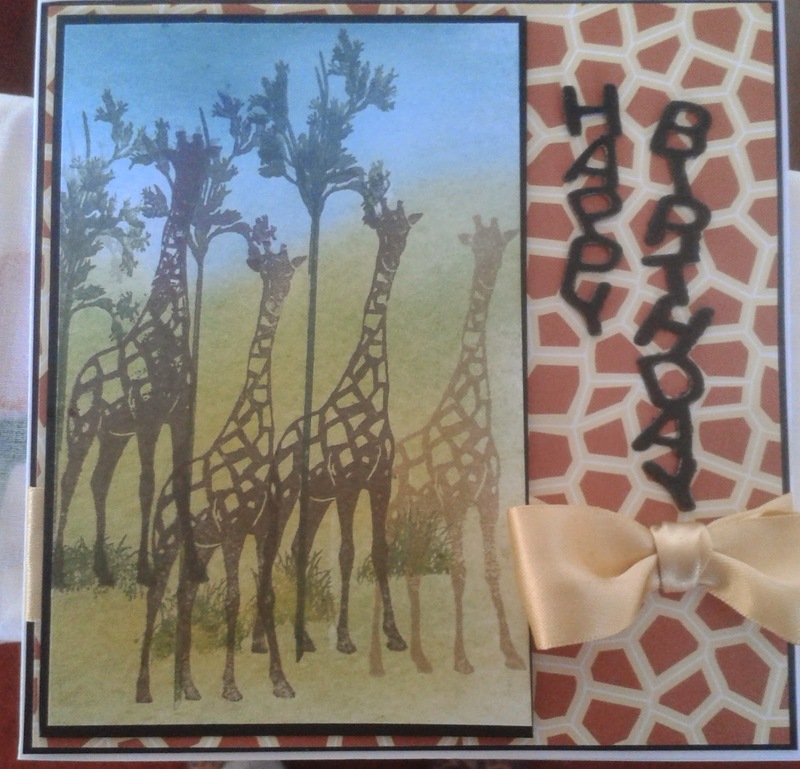 And just to prove I will use them, I played with the giraffe stamp and the bow maker and made this card for my daughter. 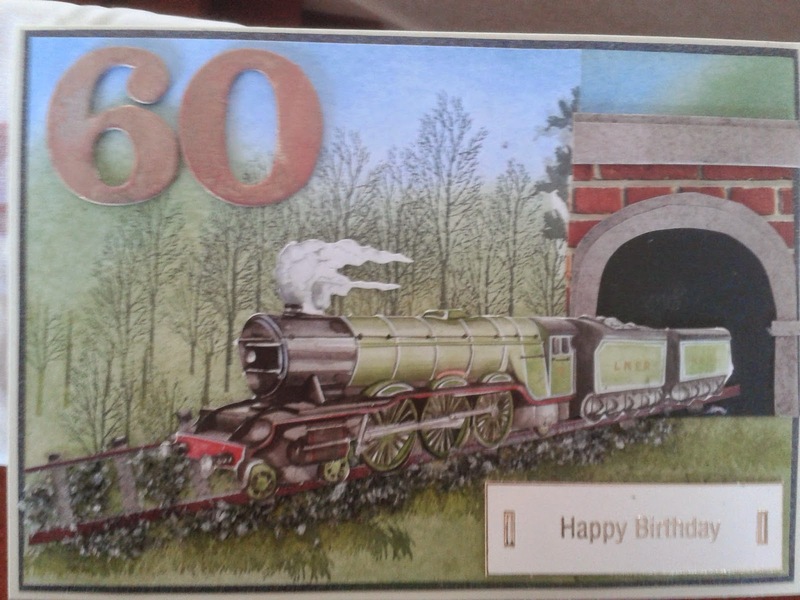 And finally a card for friend who is 60. I got these cardboard numbers at the show, 30 for 25pence, which I thought was jolly good value, and I also used the grass stamp from the Savannah set on this. Well if you have stuck with me through all that, thank you very much for visiting, even if I cheated and didn't show you the mess that is my desk. Well I'm off to visit other desks and see what other folks are doing. It looks like you all had a fab day out and what a wonderful lot of new stash you've bought. Have a fun week playing with it all. What a brilliant shopping haul you have what didn't you get that you wanted? I have one of those stamp press things and I really don't like it, it just doesn't do it for me I will be curious to see how you go with it. Let me know will you. As for the rest of your goodies they are awesome I love the giraffe stamp, my daughter is into giraffes's too. Love the card you have made and that grass is something special that can be used so many times without copying. Thanks for sharing your desk and stash was awesome shopping with you. Forgot to add Yoda will cuddle anyone so you are in luck where ever it is warm and affection is being handed out he will love you. So much shopping going on. So many lovely stamps n such. Hey there. I didn't see half of those purchases when we had our show and tell... must have been bought in the afternoon. Thanks for visiting already. Only just getting around to visiting everyone. Lovely lot of stash and cards, Chris. Glad you enjoyed the show. Thanks for your lovely comment, and I'm glad you enjoyed my Gutless Bag Lady blog - it will soon be properly up and running once I'm in a position to post! Thank you for your good wishes for Friday.